The preliminary portion of the “Bellator 141: Guillard vs. Girtz” card is beginning to take shape with the addition of four fresh bouts which will stream live on Spike.com from the beautiful Pechanga Resort & Casino in Temecula, Calif.
At the forefront of the newly signed fights is a pair of women’s featherweight scraps with Marloes “Rumina” Coenen (22-6) vs. Arlene “Angerfist” Blencowe (6-4) and Adrienna “AJ” Jenkins(18-6) vs. Lissette Neri (6-2), as well as welterweight action with Curtis Millender (7-2) facingSteven “Stryker” Ciacco (4-3) and Johnny “The Tattooed Terror” Cisneros (8-4) battlingGabriel “Biel” Miglioli (9-7). The contests will stream on Spike.com at 7 p.m. ET during the preliminary card of “Bellator 141: Guillard vs. Girtz,” which is followed by the main card, airing live and free on Spike at 9 p.m. ET/8 p.m. CT. Additional bouts will be announced shortly. Tickets for the event, which start at just $50, are on sale now at Bellator.com, Pechanga.com and the Pechanga Resort & Casino box office. Doors for the event open at 4 p.m. PT local time, and the first contest takes place one hour later. In the evening’s main event, Melvin “The Young Assassin” Guillard (32-14-2, 2 NC) will face Brandon “Cold Roll” Girtz (11-4). The co-headliner will feature lightweight action when Saad Awad (18-6) takes on Patricky “Pitbull” Freire (13-6). Opening the main card, Lorenzo Hood(9-2) will make his Bellator MMA debut against Raphael Butler (9-1-1). Coenen will be returning to the Bellator MMA cage on the heels of third round rear-naked choke finish of Annalisa Bucci at Bellator 130. 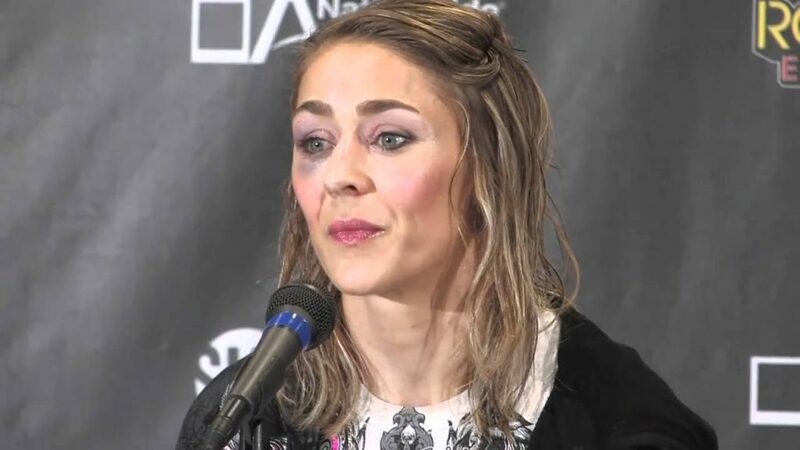 “Rumina” has been competing professionally since the year 2000 in promotions the likes of Strikeforce, Smackgirl, and Invicta Fighting Championships, winning a title under Bellator President Scott Coker in the process. The Dutch competitor wants nothing more than to eventually add a Bellator belt to her mantel in the near future. Standing in the way will be former World Boxing Federation titlist Arlene Blencowe, who is also riding high after an impressive stoppage of “AJ” Jenkins at Bellator 137. Popularly known as “Angerfist,” the 32-year-old Australian has not suffered defeat since 2013 and has avoided the judges’ scorecards in four of her six professional victories. This tilt has 145-pound title implications written all over it. In the second women’s featherweight matchup on the card, the aforementioned “A.J.” Jenkins will attempt to get back in the win column when she faces a surging Lissette Neri, who has started off her 2015 with an undefeated record. After prominent roles on the main card of both Bellator 134 and Bellator 137, Millender will look to get back to his winning ways when he faces Jackson on August 28. “Curtious” hails from San Bernardino, Calif., and has an unquestionable amount of talent and size at his disposal and will play the role of spoiler when his “Bellator MMA: Guillard vs. Girtz” opponent makes his debut. With the nickname “Stryker,” it goes without saying that Steven Ciaccio has an affinity for helping his opponents find the canvas. The Irvine, Calif., native has slept his foe in three out of four wins and will be taking a significant step up in competition when he makes his Bellator MMA debut on Aug. 28. The fourth preliminary bout will take place in the welterweight division, when Johnny Cisneros meets Gabriel Miglioli. “The Tattooed Terror” will be competing for the third time under the Bellator MMA umbrella and will likely have plenty of hometown support from his fellow citizens in Laguna Nigel, Calif. Hailing from Brazil, Miglioli has competed against the likes of Al Iaquinta and Rafael dos Anjos. “Biel” will be fighting for the second time in 2015.